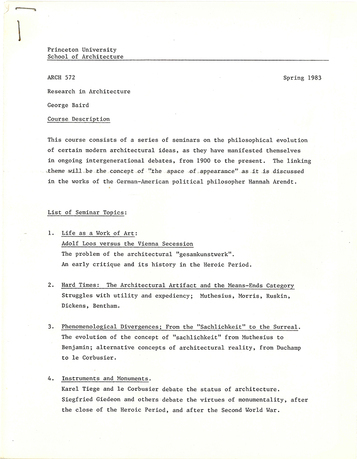 A moment in the forum at the Beaux-Arts Exhibition, Institute for Architecture and Urban Studies (January 22, 1976), featured in "Beaux" Oppositions 5, MIT Press, 1976. 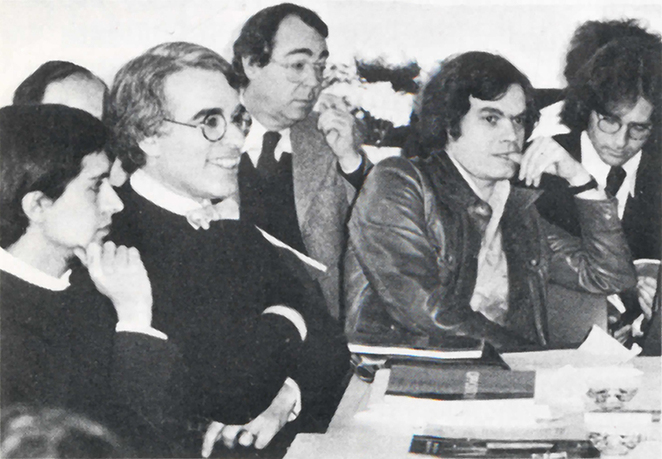 From right: George Baird, William Ellis, Peter Eisenman, and Lawrence Brooks. Photo: Charles Langer. 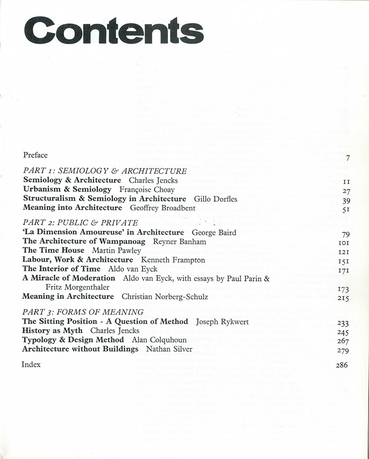 The Architect and the Public is a collection of essays and interviews on the work of George Baird, and serves as evidence of the architect's public engagement with contemporary society. 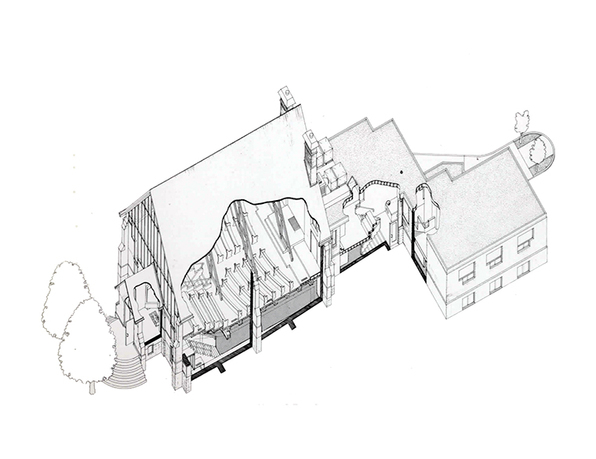 With the rise of mass media, traditional modes of producing and communicating architecture have been transformed, as many practitioners choose to express the cultural and societal relevance of buildings, and to ground architectural design beyond personal agendas. 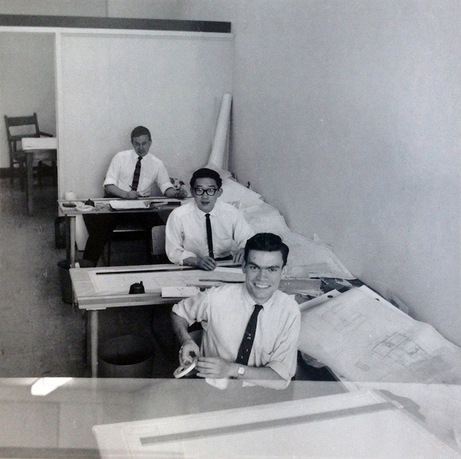 George Baird's work and research reflects this practice, and Baird—along with Colin Rowe, Kenneth Frampton, and Peter Eisenman—has served as a model for North American architectural debate. 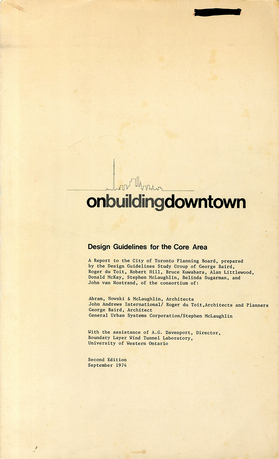 From his early theoretical writings as a doctoral student, to his involvement with Toronto city planning, to his commitment to teaching at the University of Toronto and Harvard, Baird played a key role in shaping the relationship between architecture and its multiple publics, many of which emerged in the second half of the twentieth century. Roberto Damiani is a postdoctoral fellow at the John H. Daniels Faculty of Architecture, Landscape, and Design at the University of Toronto, where he teaches architecture and urban design courses. He is the organizer and curator of Italy under Construction, a program of exhibitions and lectures on contemporary Italian architecture, in collaboration with the Italian Cultural Institute in Toronto. 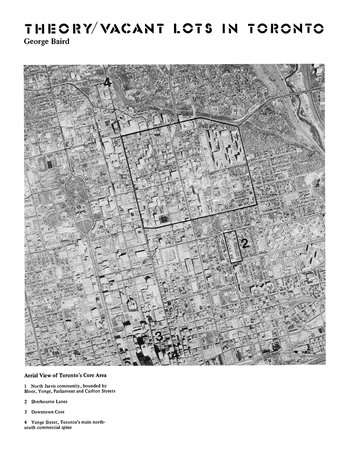 Damiani completed his PhD in architecture and urbanism from Università di Pescara (Italy), with the dissertation Archaeology of the Urban Paradigm–Schools, Educators, Pedagogies: Rome, Ithaca, Berlin, 1963–1973. He has presented research at international conferences, such as Aldo Rossi: L'Architettura della Città (IUAV, Venice, 2011) and Architecture Education Goes Outside Itself (University of Pennsylvania, 2013), and in exhibitions, including Radical Pedagogies (14th Venice Biennale of Architecture, 2014). In 2012, he was visiting scholar at Cornell University. Damiani’s publications include “Colin Rowe in the Design Studio” (San Rocco 6: Collaborations), “Le Parole e L'Architetto” (an Italian translation of Eisenman Inside-Out, 2014), and “Baird's Visionary Realism” (Domusweb, 2015).